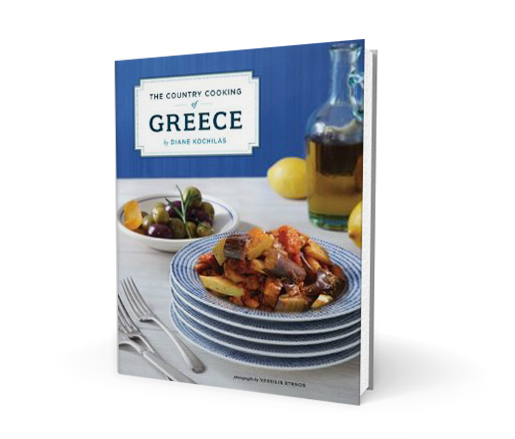 Author Diane Kochilas gleans inspiration from rustic tavernas, her own cooking school, and local artisans to bring the vibrant food culture of Greece to life in her book, The Country Cooking of Greece. With more than 250 recipes and photographs divided into ingredient-driven chapters, the book is an indispensible resource for lovers of this Mediterranean mecca. Beard on Books is an ongoing monthly literary series featuring readings and discussions with some of the food world’s most celebrated authors. Acqua Panna and S.Pellegrino waters, tea from Le Palais des Thés, Lavazza Coffee, and Valrhona Chocolate will be served. Sweets provided by Three Tarts. Guests are also welcome to bring a brown-bag lunch. Suggested donation $20. Free admission for students.